The new collection Pion Design Palette consists of heavier papers in the most beautiful Pion Design colors that match their patterned papers. The quality is great and perfect for folding. 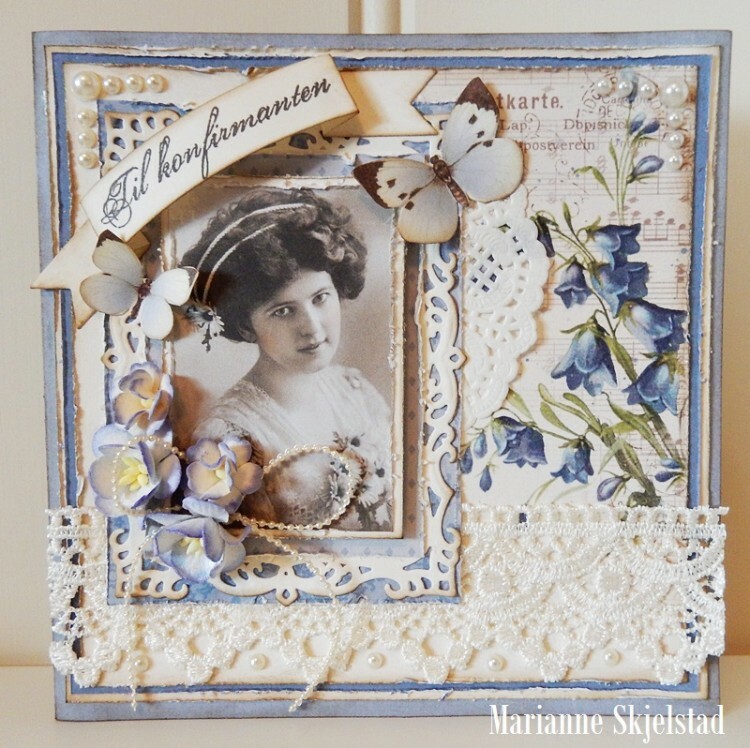 For this card I have used two different blue tones together with the My Beloved Son collection and one of the new vintage images. 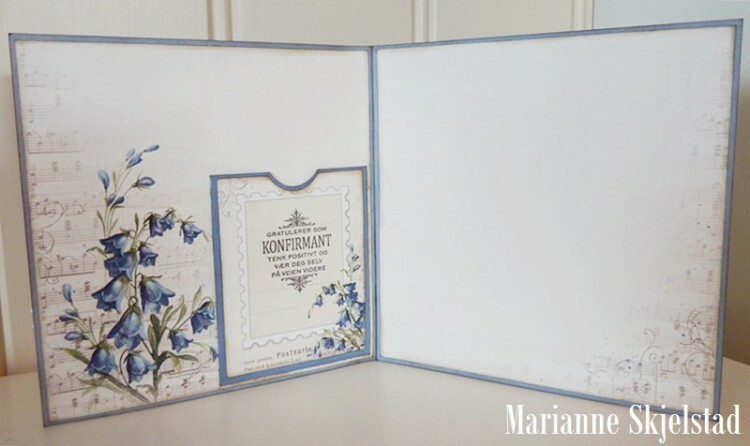 Love the colors of blue that you used…will have to check that paper out! Love the image, die cuts, flowers, just everything!